Take a look at our full-grain leather belt in dark brown. The outer leather boasts fully coloured French calf leather, while the inner side is made from soft, uncoloured leather. 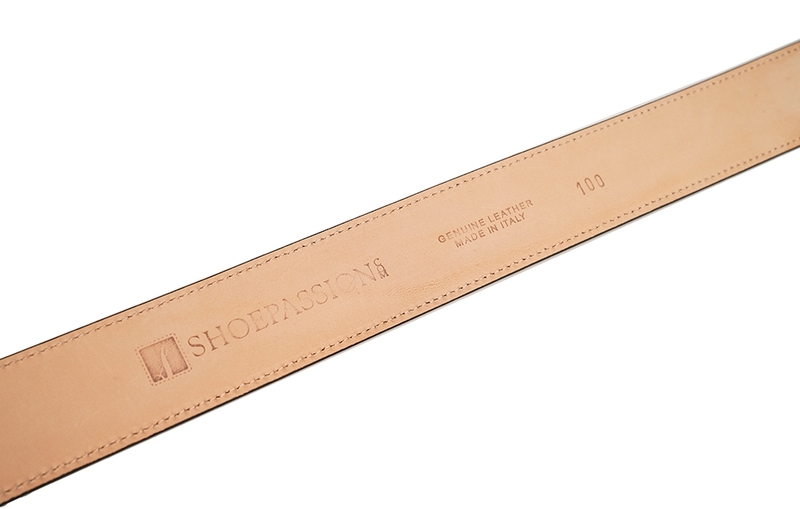 Both leather parts are tightly welted with a colour coordinated seam. 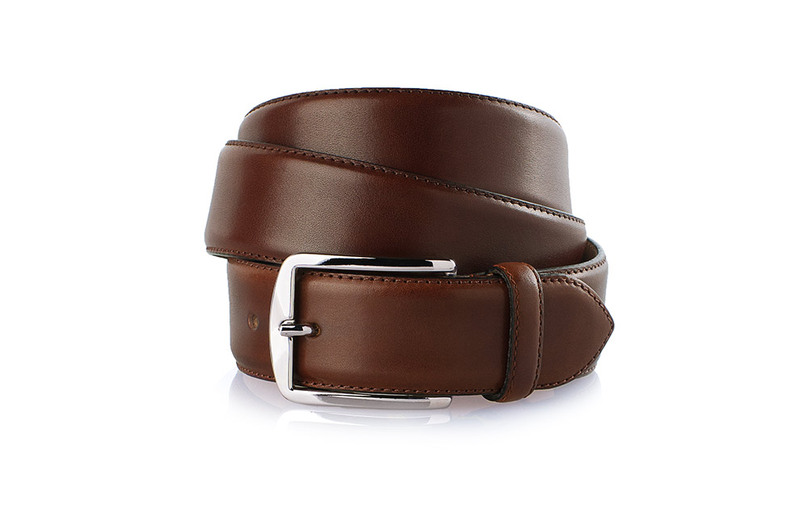 This men’s belt features a simple crowning and matches formal outfits perfectly. 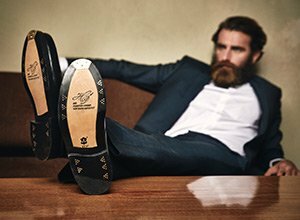 It is an ideal accessory to our Goodyear-welted shoes, whose uppers are crafted from exactly the same leather. 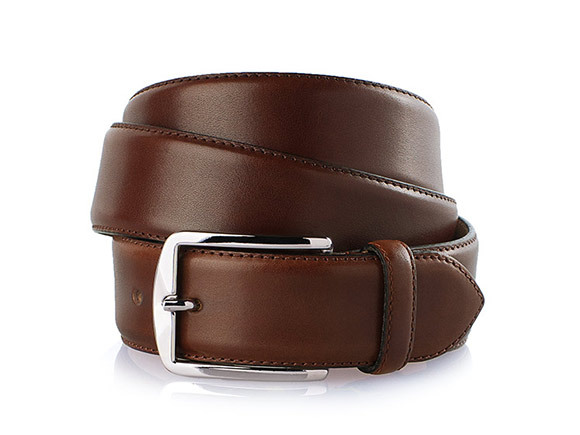 This dark-brown belt for men is fastened with a silver-colored buckle, and can be held in place using any one of the five leather holes. This buckle is made from zamak, a nickel free zinc alloy, making it comfortable for allergy sufferers, too. The buckle is fixed to the dark brown belt with a filigree screwing, easily allowing the wearer to adjust its fit at any time. Our dark brown leather belt is available in nine different lengths. Each is adapted to the right waist measurement of your trousers and measured from the buckle’s outside edge to the middle belt-hole. 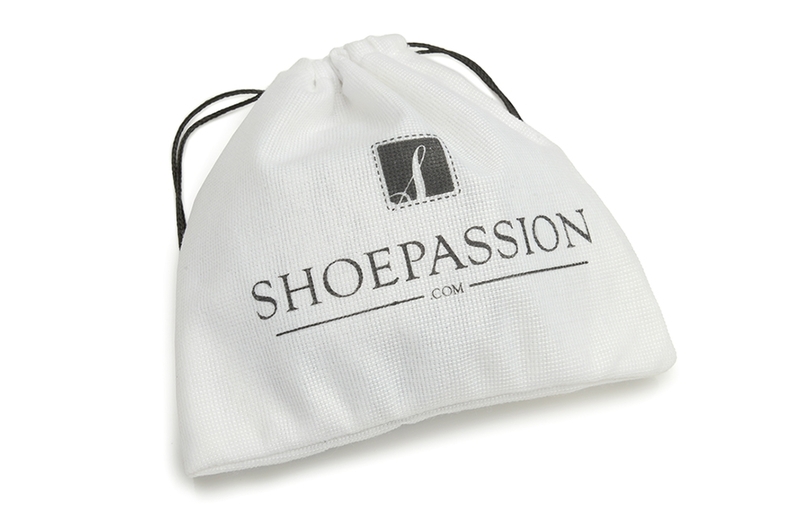 Our black men’s belt is sent in an elegantly white cloth bag with the elegant SHOEPASSION.com logo, protected from soiling and scratching. The men’s belt in dark brown matches the SHOEPASSION.com dark brown men’s shoes.